The Horizon 2020 CARAMBA project started in January 2018. The project consortium is researching an innovative immunotherapy for the treatment of multiple myeloma, known as Chimeric Antigen Receptor T-cell therapy (CAR-T). 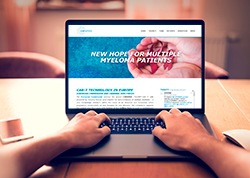 Through strategic collaboration with a wide-range of stakeholders, including Myeloma Patients Europe, the consortium aims to ensure the streamlined transition of CAR-T from the laboratory through to multiple myeloma patients in the clinic. CARAMBA is specifically looking at targeting CAR-T at a specific protein called SLAMF7 which is expressed on the surface of myeloma cells. The safety and efficacy of SLAMF7 specific CAR-T cells will be assessed in multiple myeloma patients through a small Phase I/II clinical trial involving around 30 patients. In the clinical trial, a type of white blood cell which makes up part of the immune system (T-cells) will be collected from patients and equipped with a chimeric antigen-receptor (CAR). When reintroduced into patients’ bodies, it acts like a sensor boosting the ability of the T-cells to find and destroy myeloma cells. This innovative approach has been developed by Dr Michael Hudecek and Prof Hermann Einsele at University Hospital Würzburg. Over the coming years, the clinical trial will be opening in four cancer centres in Europe – Würzburg, Pamplona, Milan and Lille. As well as the clinical aspects, the project consortium will also collaborate on regulatory and access issues and on ensuring that patient preferences are utilised in the project. The European Commission selected the CARAMBA project from more than 100 highly-competitive project proposals and will support it over four years with funding of 6.1 million euros. 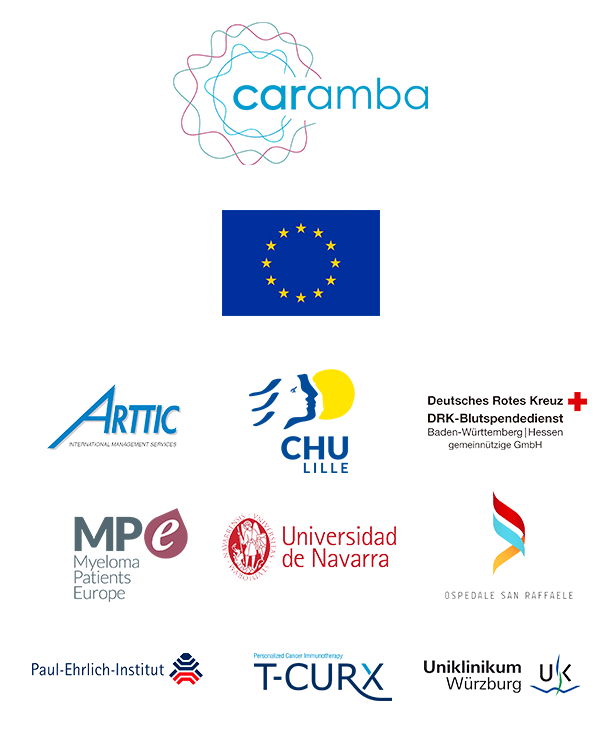 Ten partners from six EU-countries are collaborating through the CARAMBA project consortium. It includes four clinical centres of excellence in cancer: University Hospital Würzburg (UKW), Ospedale San Raffaele (Milan), Universidad de Navarra (Pamplona) and the Centre Hospitalier Regional et Universitaire de Lille (Lille). Further project partners include the patient organisation Myeloma Patients Europe (MPE), the DRK- Blutspendedienst Baden-Württemberg-Hessen (BSD-BRK), the German Federal Institute for Vaccines and Biomedicines (PEI), the biotech companies NBE-Therapeutics (Switzerland) and T-CURX (Germany) as well as the French project management provider ARTTIC S.A.S. This project has received funding from the European Union’s Horizon 2020 research and innovation programme under grant agreement No 754658.